> New performance brand for Toyota to rival the Germans? New performance brand for Toyota to rival the Germans? Toyota might soon have an official performance division for its models like how Mercedes-AMG and BMW M is to their normal models. While the Japanese carmaker already has its TRD sub-brand (Toyota Racing Development) making many parts to juice up its cars, it is not as motorsport-oriented as the brand's other performance arm, Gazoo Racing. In an interview done by Autocar, Gazoo Racing and Toyota’s powertrain division boss, Koei Saga, said that he wants to see Gazoo Racing expand its road presence outside of Japan, potentially turning the motorsport division into a company like BMW M.
“In Europe, the challenge is bigger because we have more competitors here, and it is also an issue of cost. However, I am very much working on that so we can have a brand like the M brand,” Saga said. 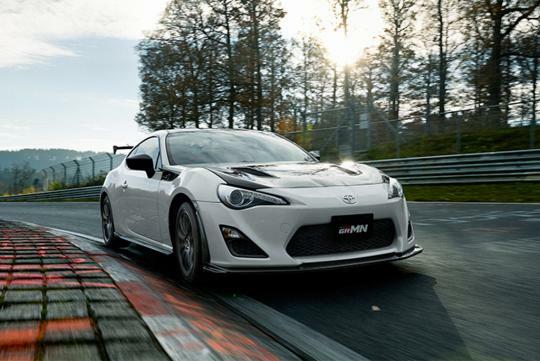 At the moment, the tuning arm already sells complete performance vehicles like the 86 GRMN and the Mark X GRMN. Expect to see its forthcoming Supra sports coupe to be fettled by them too! don't they already have TRD n Lexus. What on earth are the japs thinking. The only losers are their customers. Brainwashed to spend by wAnnabe who can't afford a Ferrari but willing to settle for 2nd choice. Before I read the article I was thinking "What's TRD then?". Now I'm thinking "What the hell is Gazoo Racing"? And what's with a model designation like GRMN? Were they trying to spell GERMAN but the vowels committed KMKZ? TRD is fine. Gazoo is like WTF? I recommend they use Toyota Motorsports Division or TMD! With a Red !The Chinese will love it!